Use these gorgeous mint green and rose gold foiled Paper Plates at your Baby Shower! The gender neutral colour scheme is perfect whether your expecting a gorgeous girl or a beautiful boy. 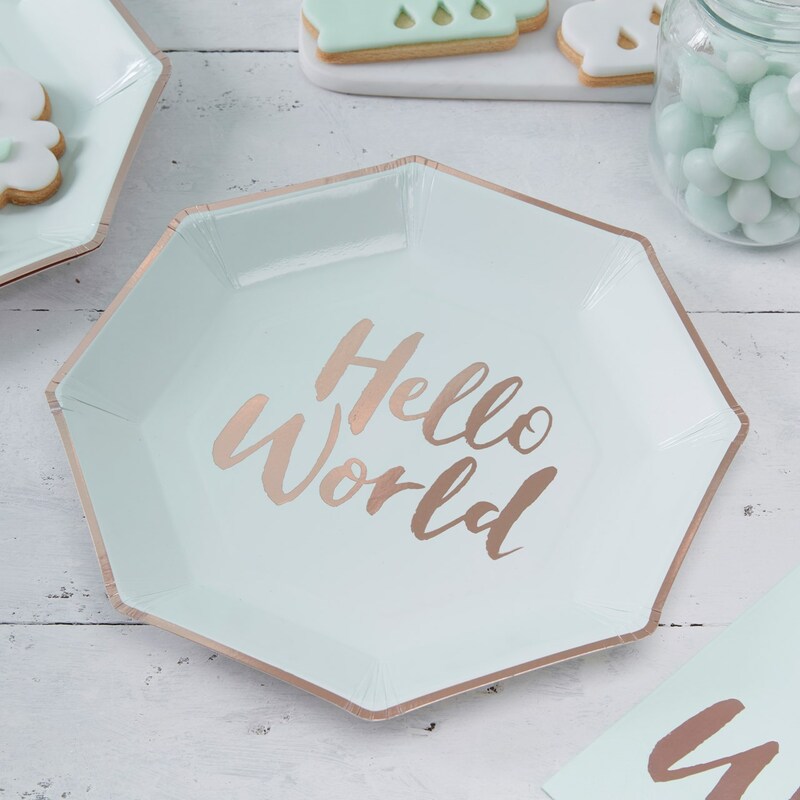 The rose gold foiled Hello World design is the perfect way to serve tasty nibbles at your celebration - and without the mess! Each pack includes 8 paper plates. Each plate measures: 230mm in diameter.